Beautiful motor yacht available for charter in winter from Antigua and St Lucia and many other Caribbean islands. 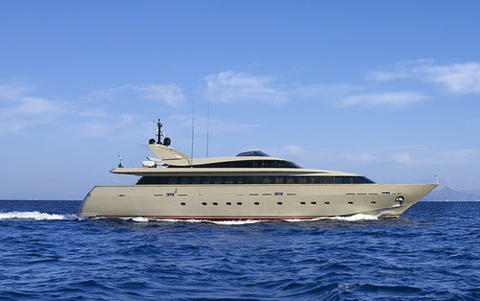 In Summer she will be in Mediterranean Sea, with license for charter in French Riviera/Corsica/Sardinia/Naples/Sicily. With 5 Cabins for 10 guests on board. The yacht has been completely refitted in 2016. New carpet, new lines, new bedding, new soft goods, new AV equipment, new TVs in every room including the sun deck, new furniture, new decor, new outdoor furniture, new cooking utensils including pots and pans, new LED lighting, new window treatments, teak decks refinished, newly installed jacuzzi, engines overhauled, new waverunners, new BBQ grill and television on the sun deck, etc. New Esthec Teak Decking in 2017. Guest Accommodation: real example of Italian superyacht. Beautifully designed and finished, her interior will accommodate up to 10 guests in five luxurious cabins, with a Master suite, two double VIP and two twin cabins. The elegant Master suite features a flat screen TV, a walk-in closet and en-suite marble bathroom with both a Jacuzzi bath and a large shower. Indeed , every cabin has its own luxury en-suite bathroom. There is also the ability to sleep extra guests thanks to Pullman berths in the twin cabins, making them perfect and a lot of fun for children. Tenders & Toys: tender with 90hp Yamaha outboard, 2 x waverunners (NEW), 4 x Sea-Doo Sea Scooters (NEW), 2 x Kayaks (NEW), 2 x Stand up Paddleboards, SeaBob, Wakeboard, Kneeboard, Waterskis & Tows, Fishing Gear (NEW), Snorkeling Gear (NEW), Banana Float Tube (NEW). Beautiful yacht of 37 mt available for charter in Turkey. Port follow booking and clients requests. With 5 cabins can accomodante up to 12 guests. Huge range of water toys and 6 experienced crew will be at your disposal. This beautiful Baglietto 120' has beed refitted completely in 2016. 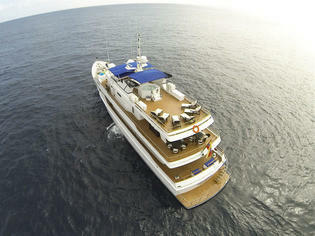 With 5 cabins can accomodate up 12 guest in 1 master, 2 VIP Cabins, 2 Twins. A huge range of water toys available and crew with great experience. 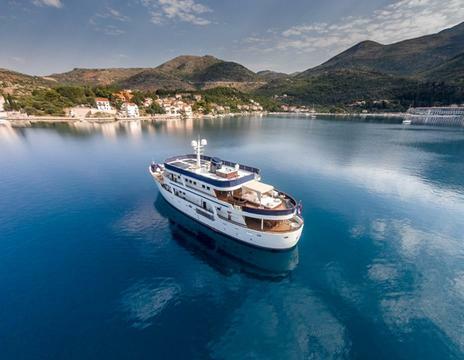 This wonderful yacht of 39 meters is available for charter in Croatia from Dubrovnik or Split follow request. With 7 cabins for 14 persons + 6 for children because 6 cabins has a pullman bed. 7 crew members. many water toys.